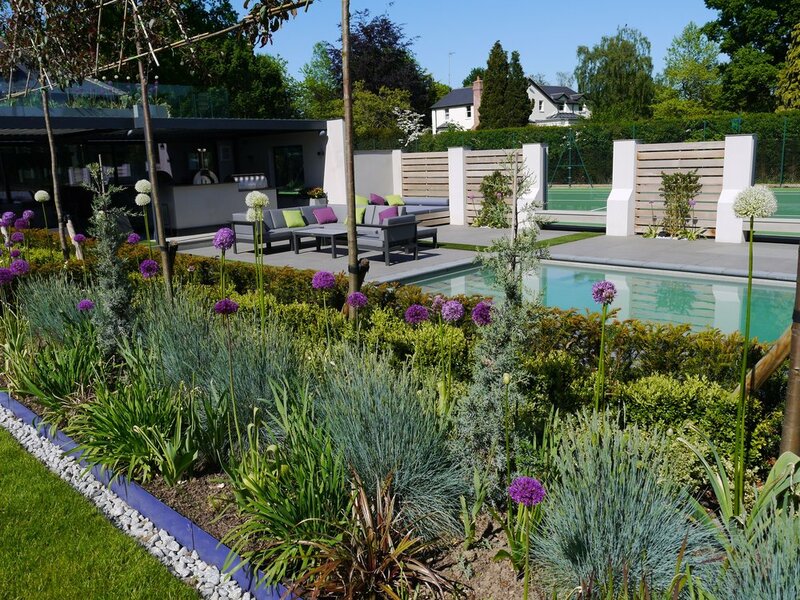 A lover of contemporary art, the client wanted a garden of vibrant colours and dramatic impact. The new entrance courtyard includes a Portuguese cobble tapestry leading to a striking sculpture to balance the entrance to the house. Parking is screened from the house and generous planting provides a gracious entrance in keeping with the setting. The park-side garden was re-sculpted to include a ha-ha linking the garden to the fabulous views across the park. A reclaimed Yorkstone entertaining terrace leads down to a sunken croquet lawn and wildflower meadow beyond. The orangery garden is a contemporary interpretation of an historic parterre to be seen partly from above and also from within.